Q. You guys rock! Can we have scrap paper and pencils to write down classmarks? Thank you for taking the time to fill in one of our You Said We Did feedback cards. And thank you for your kind comment! 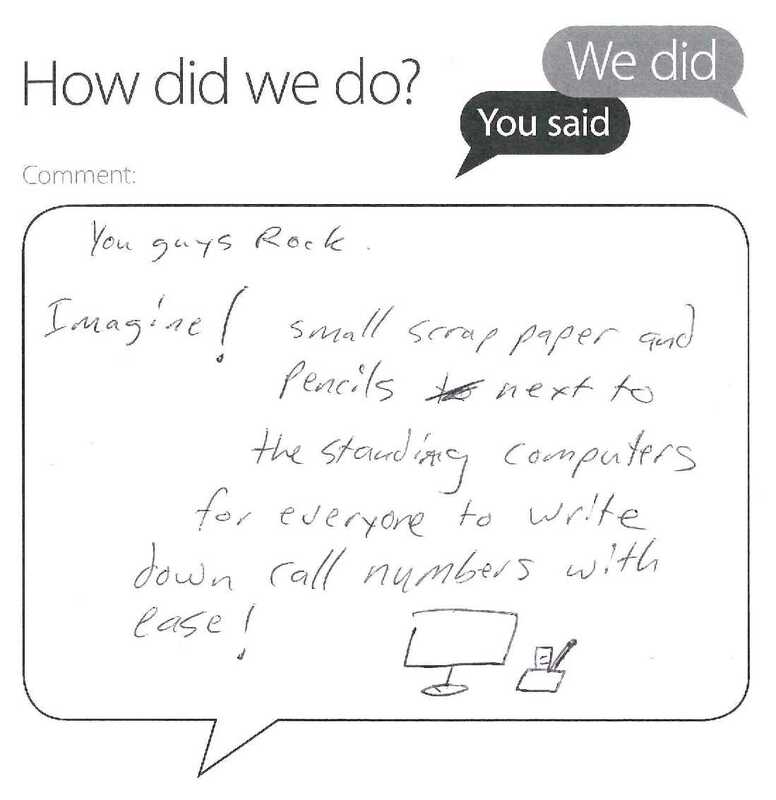 You make a very good suggestion to have pencils and scrap paper at the search computers. 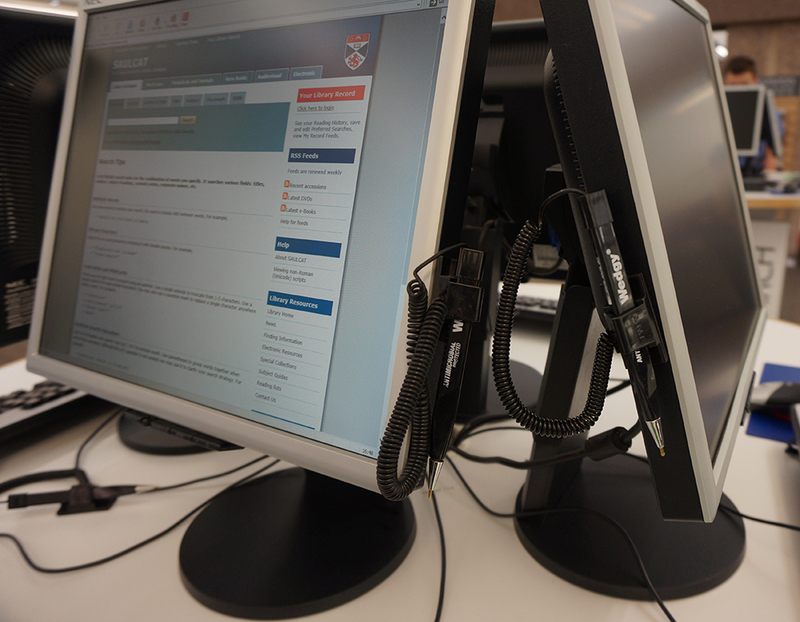 We do currently have pens attached to the screens or desks for you to use at these computers. But as you know, we don’t currently offer paper. As a trial, we had some inexpensively produced scratch-pads made to leave at the computers, but could not keep up with demand! With the volume of people using these terminals as soon as we put the paper out, it was gone! We have previously looked into providing scrap paper too, but there are difficulties with lack of space and again the high turnover and upkeep with replenishing the stations. We do understand the inconvenience and will continue to consider options.